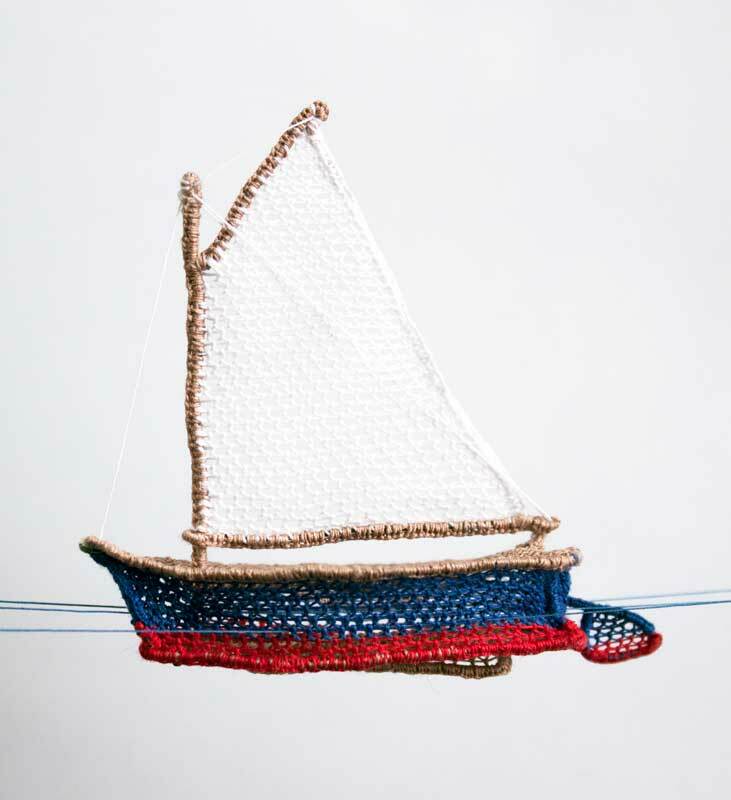 Three of my works (including Catboat, 2018) will be on show in Lace, not Lace: Contemporary Fiber Art from Lacemaking Techniques curated by Devon Thein for the Hunterdon Art Museum and featuring 41 works by 28 international artists. Hunterdon Art Museum, Clinton, New Jersey, Tues. to Sun. 11:00-5:00 pm. A ground-breaking exhibition highlighting how lace makers are expanding the traditional boundaries of their art form to create exciting work that investigates contemporary themes, materials and forms... Lace, not Lace: Contemporary Fiber Art from Lacemaking Techniques, reveals how contemporary fiber artists are applying bobbin and needle lace techniques to a multitude of fibers and filaments in unlimited colors and textures to interpret their world.